﻿ Best Price on Rickys in Orange Walk + Reviews! Located in Orange Walk, in a building dating from 2013, Rickys provides free bikes and guestrooms with free WiFi. Among the various facilities of this property are a garden and a terrace. The property has a 24-hour front desk, a shared kitchen and luggage storage for guests. At the hostel, each room is equipped with a desk. Corozal is 30 miles from Rickys. 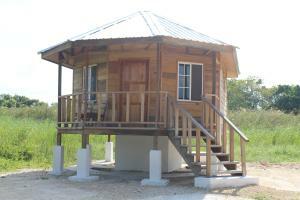 The nearest airport is Philip Goldson International Airport, 46 miles from the accommodation.